Gettin Better All the Time… | The Happy Wonderer ~ ellen b. On Saturday the troops arrived to help us fill our 2nd Container. We were so pleased and thankful that the container got filled by 3pm. Our helpers worked hard and efficiently and we were grateful for the excellent help. The filling of this second container worked better than our first and we are hoping the next one will be easier still. On Monday another container will be dropped off and this filled container will go back to the yard. We took Sunday off from our mad packing schedule to recuperate and relax. After making blueberry pancakes for breakfast, using the fresh picked blueberries from our bush, I joined in online to a church service at Parkside church where Alistair Begg preaches. At eight I watched the World Cup Final match seeing France win over Croatia. Late in the morning I shopped for a few more bins and then we ate out for linner (lunch/dinner). Our kitchen is getting down to the bare necessities. I’m now watching some Seattle Sounders Soccer, too. It feels good to have a down day here. 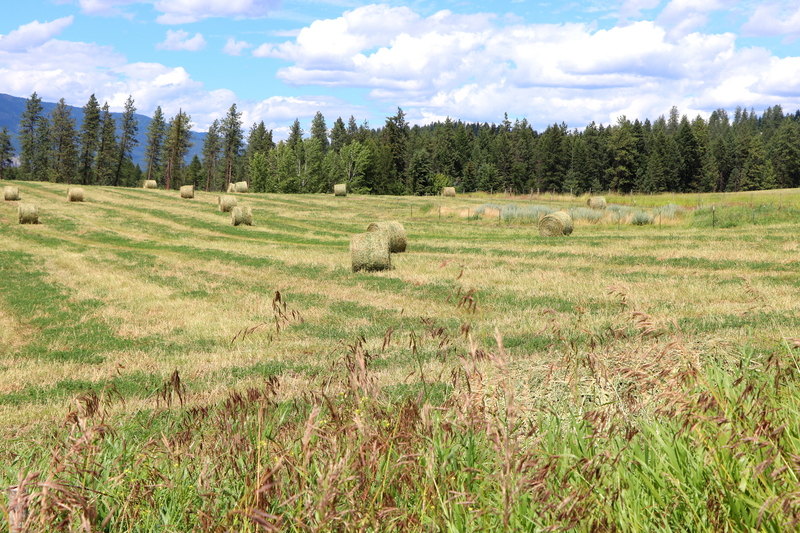 When we were in Colville we took some photos of hay being rolled on July 7th. 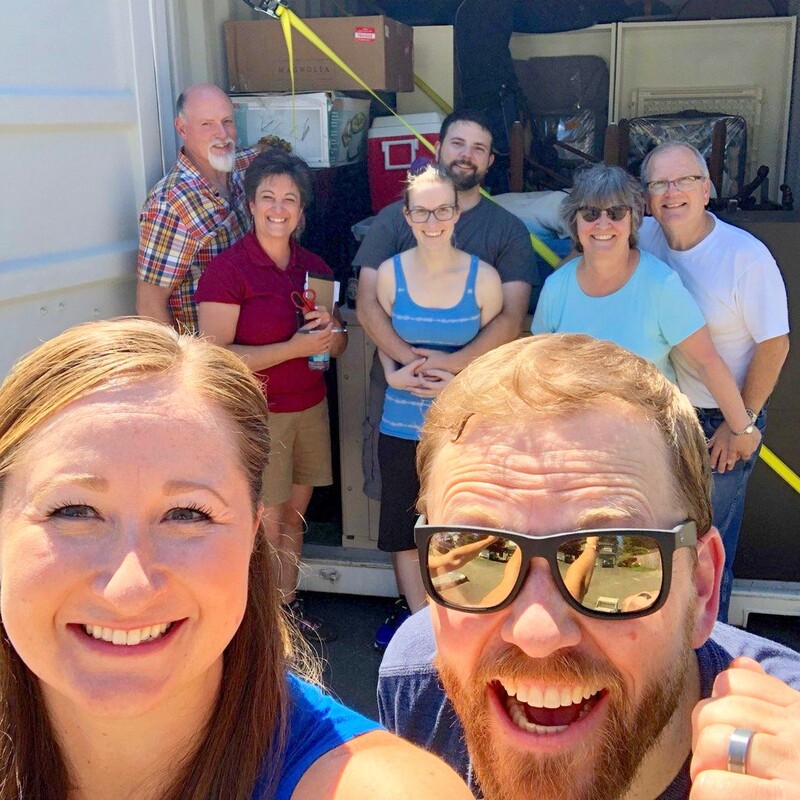 Posted on July 15, 2018 by Ellen •	This entry was posted in Moving, Summer and tagged Colville, France v. Croatia World Cup Final, Hay, Make Hay While the Sun Shines, Packing, Simple Box, World Cup Soccer. Bookmark the permalink. 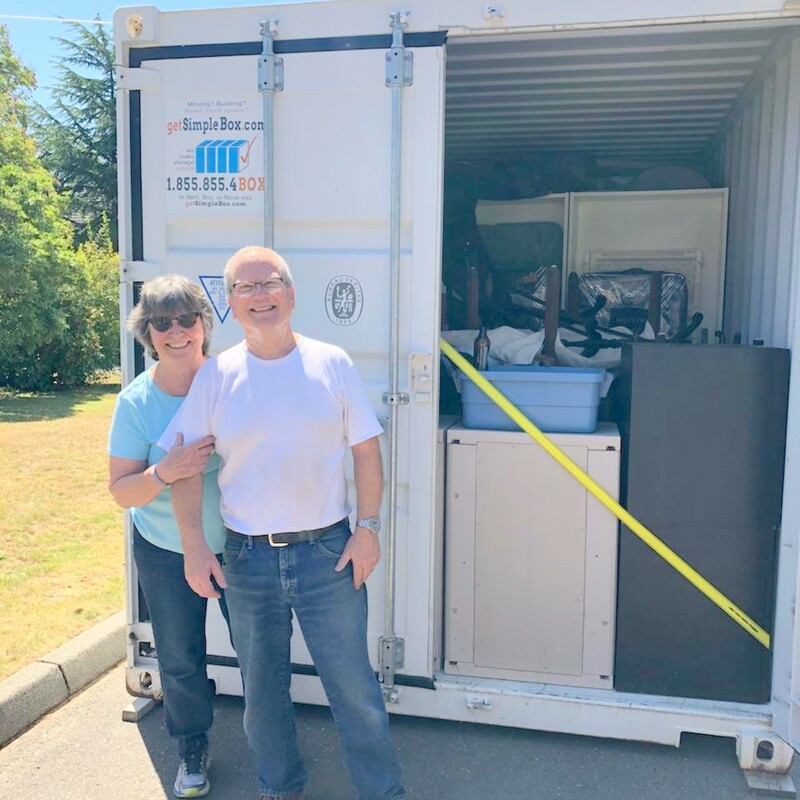 …it looks like you are moving from one beautiful part of the country to another. Hello, it is great you have some great helpers. The blueberry pancakes sound delicious. I hope your move goes smoothly. Enjoy your day and new week! WOW! Good job everyone! That is great that people work so well together and had the task accomplished by 3PM! I’m glad you and your hubby took yesterday off to relax a bit. You have been working so hard that I know it must have felt so good for both of you to kick back and relax. Loved seeing the pictures. The ones of you and your husband are so good, Ellen. You both look so happy. Makes me excited to see that new house that God has in store for you! Happy packing this week! You are accomplishing a great deal! Good you took a day to rest and recover! God speed on your move! God Bless you all. Love the first picture. You are all smiling, despite the task at hand. Down days ahead for us too and I can’t wait!!! 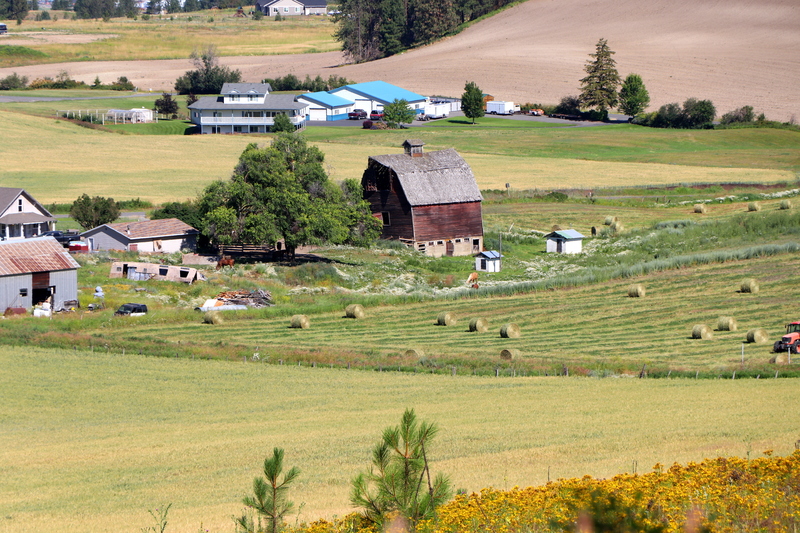 The farm across the way from us has been haying – it smells wonderful! Such a busy time for you! You’ll be looking back at this time down the road and wonder how you did it. You hardly have time to grieve, and yet, I know that you know your dad is in a better place and you have peace. May God bless you as you go to be with family and open the path set for you when it’s time to move. Glad that you were able to catch a breath and do “normal” things. I imagine that you’re back in the thick of it now.